In the classroom and school communities, social media gets a bad rap. We all blame it for so many things - cyber bullying, constant distraction, time wasting, the destruction of grammar and good writing. And yet. National Geographic has Snapchat. The New York Times tweets constantly. Major organizations and individuals around the world use social media to inspire, to show compassion, to raise money for good causes, to help people connect. How can we help students see social media platforms as places where people can build each other up instead of tearing each other down? The reality is, many of our students DO check social media dozens of times a day. Probably nothing we say is going to change that. During a media literacy unit, as a flip side to a unit on fake news, or just as a series of interesting jumpstarts to class, share these social media campaigns with your students. Show them the positive action being taken in the world through hashtags, feeds, and videos. Help them use their social power (and obsession) for good. 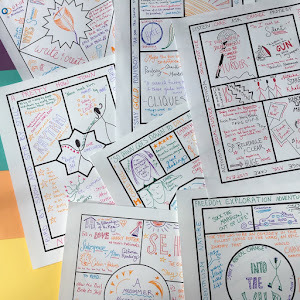 And as a final activity, download the free handout at the end of this post that invites students to participate in a positive social media campaign of their own, #StudentsBreaktheBoundaries. When Emma Watson became the UN Women's Goodwill Ambassador, she threw her support behind a campaign for women's equality called #HeForShe. Her Tweet galvanizing people to the campaign brought interest from hundreds of thousands of people. — Emma Watson (@EmWatson) September 21, 2014"
According to an article at The Social Media Monthly, Tweets about feminism have risen 115% since the campaign and the discussions about it have doubled. Hundreds of thousands of people are liking the #HeforShe Facebook page, following its Twitter accounts, and tagging photos with the hashtag on Instagram. Celebrities have flocked to respond to Emma Watson's call, and political leaders have reached out as well. In the Ice Bucket Challenge, millions of people dumped buckets of ice water onto themselves for Facebook videos to raise awareness and money for Lou Gehrig's Disease. According to an article in The New Yorker, the challenge raised two hundred twenty million dollars for the A.L.S. foundation as well as bringing increased awareness. I love what The New Yorker had to say about what this campaign can teach us. "That, really, was the true accomplishment of the challenge: it took tools - the selfie, the hashtag, the like button - that have typically been used for private amusement or corporate profit and turned them to the public good." How might our students use these tools someday if we show them the way? In this campaign, holocaust survivors and their families came together to ask people around the world to take a photo of themselves holding up a sign saying "We Remember" and more than 200,000 people (including me) did it. Though they may not have reached their goal of having six million people participate - one for every innocent person who died during the Holocaust - it was enough participation to make a splash across the internet and inspire conversations about anti-semitism today. 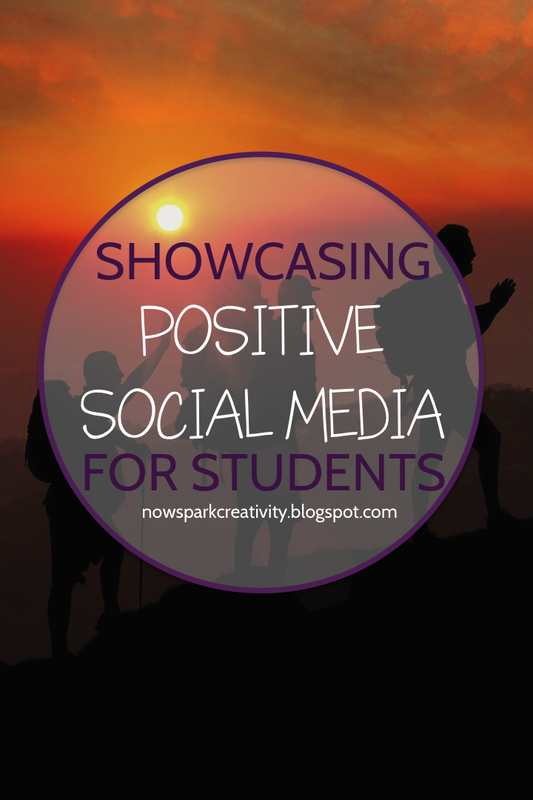 Wouldn't it be great for your students to be part of a positive social media campaign of their own? In this era of growing division, I'd love to see students make their own movement toward understanding each other better. I've designed a handout you can use to help students create a social media post about themselves, about some important part of their identity. They have room to lay out an image and work on the caption. This exercise can be strictly on paper, or you can invite students to post the images to a class social media account or to their own social media feeds. Your students just might start the movement #StudentsBreaktheBoundaries. Imagine students from around the country and the world learning about each other's values, beliefs, dreams and passions through this simple hashtag.You can download the free resource and help start the movement here. Looking for more places to talk about how to creatively approach what matters to our students? Jump into my free Facebook group, Creative High School English! I appreciate the timeliness and relevance of this idea! Thank you for sharing such powerful examples of how social media can be used to foster so much goodness -- oh, how I'd love to see our students using it that way, too!